When introducing HowtheMarketWorks.com, students need to first have an understanding of what a company is, what a share of stock represents, and the relationships to products and services. After this is mastered, then it is easier to explain what a stock exchange is, and finally teach them How The Market Works! owned by a company named Mondelez International – ticker symbol MDLZ that makes Oreos, or MCDONALDS MCD. A company owned and run by one individual who receives its profits or bears its losses. A proprietorship is not separate from its owner, who is liable for the company debts. Some entrepreneurs, sole proprietors, and partnerships decide to incorporate. This means that they establish a separate legal entity. The main reasons to incorporate are (1) if someone decides to sue the company, they would be suing the corporation and not the individual owners (2) it is easier to raise money to grow the business and (3) for tax reasons. The corporation issues shares of ownership (also called stock) to show who owns what percentage of the corporation. CARGILL, which makes agricultural products, KOCH INDUSTRIES, which is in many businesses, such as transportation fuels, building and consumer products, and fertilizers, among others., IN AND OUT BURGER, which is a fast food chain, mostly in California, AND MARS, which makes Mars Chocolate bars and other candies. Larger companies that want to grow quickly often find it easier to sell some of their shares to the public to raise money. The stock of a public company is owned and traded by individual and institutional investors. The stock may also be held by company founders, employees, and sometimes venture capitalists, which are people who invest in new businesses that are just getting started. MCDONALDS Ticker symbol: MCD, VERIZON Ticker Symbol: VZ, Ticker symbol MICROSOFT MSFT are all examples of public companies that make products that you may use. HowTheMarketWorks has built-in lessons teaching students about different types of companies! When you set up your class contest, add an “Assignment” and include the lesson “Types of Companies“! IPO is a term heard a lot on Wall Street and in the news. When a company decides it needs to raise more money and wants to sell it shares to the public, then it files for an IPO. NASDAQ). The stock exchange is like a flea market where buyers and sellers come together and the buyers try to get an item for as low a price as possible and the sellers try to sell an item for as high as possible. who would then place your order. Today, you can use Etrade.com, Scottrade.com and other online brokerage platforms to make trades. HowTheMarketWorks.com acts just like an Etrade account, with real stocks and real prices, just pretend executions. examples of companies in the automotive (car) sector. Citibank, Bank of America, and Chase are examples of companies in the banking sector. 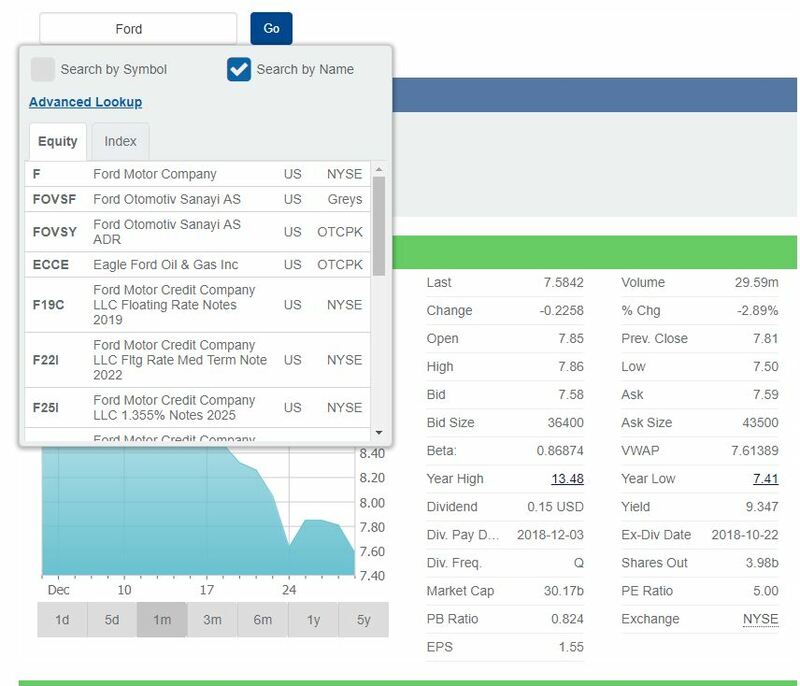 HowTheMarketWorks also has lessons showing students how to find stocks from different sectors, and compare them. 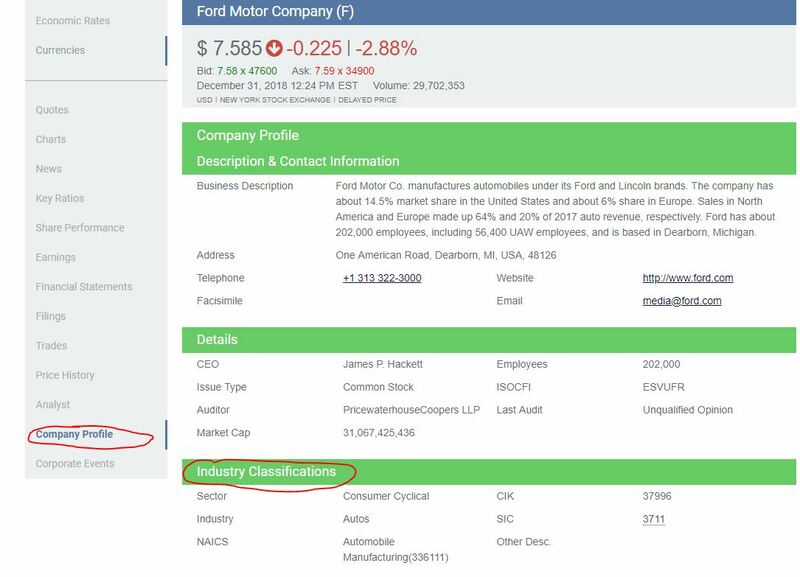 If you add an Assignment to your class, include the lesson “How to find stocks in specific sectors“! A person who gives money to any of the above in return for a share of the company. For example, if you and three friends pool your money to make and sell cupcakes at school, you are all investors. Imagine you started making cupcakes. That’s your product. 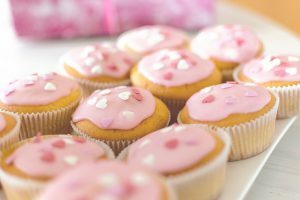 You make them in your kitchen to sell them at school and your cupcakes get so popular that you couldn’t make enough of them for everyone who wants them, because your oven at home is too small. You might want to start a cupcake factory where you can make enough cupcakes to sell cupcakes to everyone who wants them. where you may or may not get a loan. But you have another option: you can go to the stock market and convince people to buy stock in your company. People who buy stock, which are called shares, in your company are called shareholders, because they own a fraction of your company. 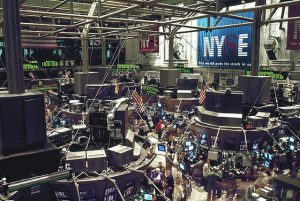 What is the Stock Exchange and an IPO? When a company goes to the stock market for the first time to raise money, it’s called an Initial Public Offering, which is also called an IPO. Companies use this money to expand their business, like building a cupcake factory. If you’re the company, you set a price at which you think investors will pay for your stock, after you release the stock into the market to let other people buy a stake in your business, which is called issuance, it is traded on an exchange. The stock’s price will rise or fall based on what investors think it is worth. There are exchanges for stock all over the world. For example, when Google went public in 2004, in other words, they did an IPO and sold shares of the company on the stock market, Google’s initial price was $85. The Google stock traded as high as $1,200 when it spun off another class of shares with $500. Today, it’s worth around $1100 to $1500. That is an incredible return on your investment. Never forget though, the first rule of Wall Street is “Let the buyer beware.” They say this because some companies lose money and eventually go out of business. This means investors’ shares in the company are then worth exactly zero. regulated by the Federal government to make sure the stocks people buy are actually investments in real companies. These days, like the NASDAQ, you can also buy and sell stocks on the NYSE while sitting at your computer. You can also add our lesson on “What is the New York Stock Exchange“, “What is a Stock“, “What is a Mutual Fund“, and dozens of others as Assignments to your class contest! 9:30 am ET and goes to 4:00 pm ET, every weekday, except for holidays. You may hear the term “after hours trading” if you watch some of the financial news stations like CNBC. With How the Market Works you’ll be given a virtual cash amount that your teacher choses ($10,000 to $500,000) to invest in stocks. You will buy and sell shares in the real world with your play money. Think about products and services that you, your family, and your friends use every month and think about where you spend their money. Is there a product that you are using more this month than you did a few months ago? Is there a new department store that you are hearing all of your friends talk about? Is there a product that’s HOT that you must have? Try to think about your spending habits in terms of what is necessary, what is nice to have, and what is more of a luxury item. Instead of thinking “I am going to the store to buy some food”, thinking about the stock market becomes “I’m going outside in my Nike (NKE) shoes, Wrangler (VFC) Jeans, and Abercrombie & Fitch (ANF) t-shirt, to the Bank of America (BAC) ATM to get cash, then drive my Ford (F) car rolling on Goodyear (GT) tires with BP (BP) gas to Walmart (WMT) to buy Charmin (PG) toilet paper, Crest (PG) toothpaste, Coca-Cola (KO), and Ben and Jerry’s (UL) Ice Cream. Then I am stopping by McDonalds (MCD) and Walgreen’s (WBA) pharmacy for grandma’s Lipitor (PFE) prescription and some Revlon (REV) lipstick! Now it is time to start building your HTMW portfolio! Try to pick 10 companies that are growing over the last 2 months, and include at least 5 different sectors in your picks. To help understand why picking different sectors is important, you can include the lesson “How do I diversify a portfolio?” as one of your Assignments! For best impact with this (and our other) lesson plans, we recommend setting up your class contest on HTMW before you begin – click here to see how! The most successful stock games usually have students work individually – this introduces more accountability for the students, gets each student more involved in the Class Rankings (which will definitely become a highlight of the class), and lets you take advantage of the Assignments feature. However, many teachers prefer students to work in groups – the optimal group size seems to between 2-3 students. You can also mandate students keep Trade Notes – a short, 1-3 sentence explaining the rationale behind every trade. This is very helpful to ensure students are thinking through their decisions, but also is very handy when it comes to making reports about their trading activity (see some of our other lesson plans for help). Finally, to get the most out of HTMW, you should also take advantage of the Assignments tool. This will let you assign videos, articles, trades, and interactive calculators. Many of these lessons focus on the stock market, but there is also an extensive library covering personal finance, economics, and business topics – letting you pick and choose lessons that line up with what you are covering in class each week. If you want to take your classes to the next level, you can also upgrade to PersonalFinanceLab.com. PersonalFinanceLab has a more robust stock market game (with no ads), and a curriculum library of over 300 lessons, all with built-in, automatic assessments aligned to both state and national standards for personal finance, economics, accounting, management, marketing, and finance.